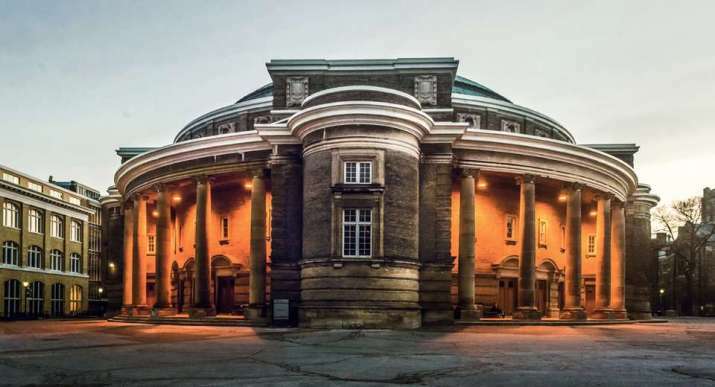 In the University of Toronto’s ceremonious and elegant Convocation Hall, PhD candidate and academic coordinator Anthony Scott is offering a Land Acknowledgment. Speaking onstage, in the same spot where His Holiness the 17th Gyalwang Karmapa stood a little over a month earlier, Scott invokes the pre-colonial indigenous peoples who made this land—including the land upon which the University of Toronto sits—their home for thousands of years. Thus the 18th Congress of the International Association of Buddhist Studies began in a spirit of Buddhist gratitude. 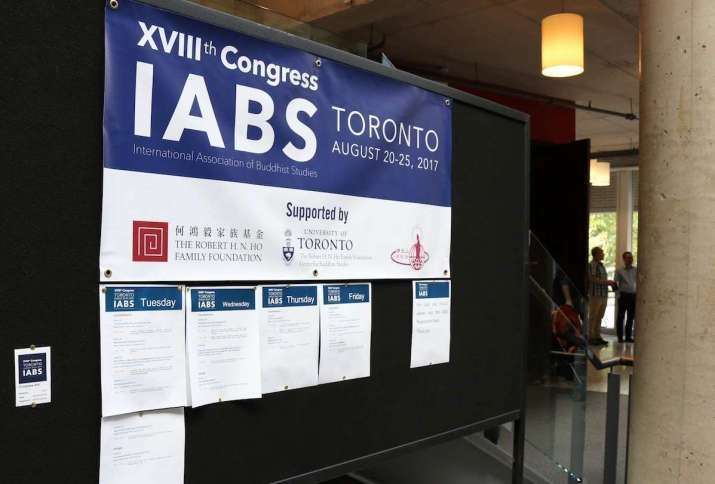 The IABS holds a congress every three years, and the latest gathering was held at the University of Toronto in Ontario—the first congress to be held on Canadian soil. 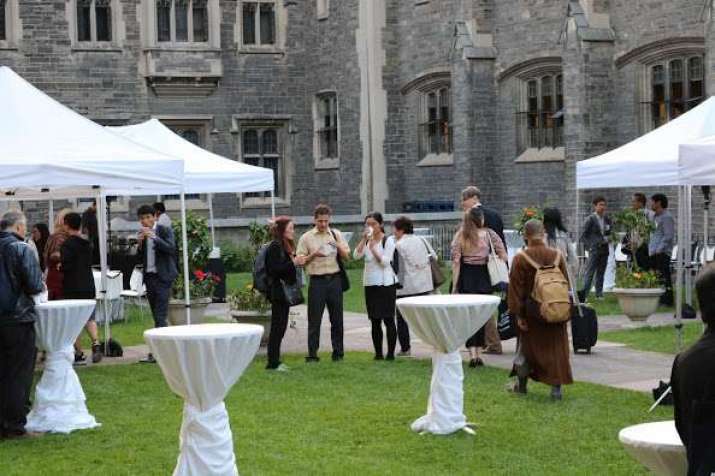 Dr. Christoph Emmrich, associate professor of Buddhist Studies at the University of Toronto, and chair of the planning committee, noted that this year’s congress coincided with the celebration of Canada’s 150th anniversary of Confederation. 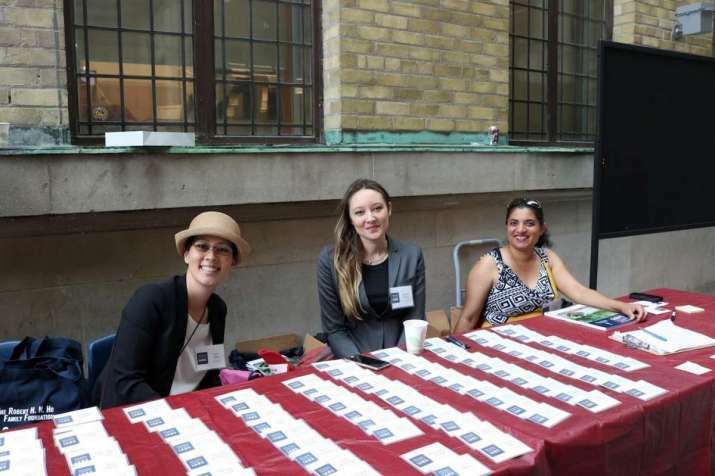 Held from 20–25 August, the congress was sponsored by The Robert H. N. Ho Family Foundation Centre for Buddhist Studies at the University of Toronto, The Robert H. N. Ho Family Foundation, Fo Guang Shan, and the Fo Guang Shan Temple of Toronto. 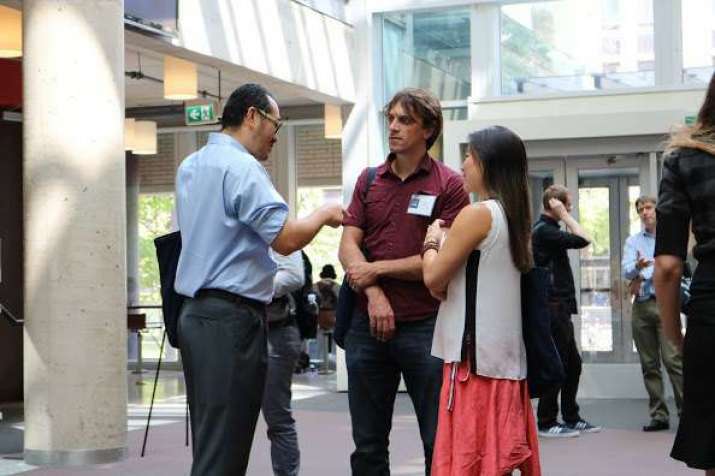 In such a culture of interconnectedness the prolific program commenced, a vehicle for an astounding presentation of scholarship and knowledge over the five-day congress. 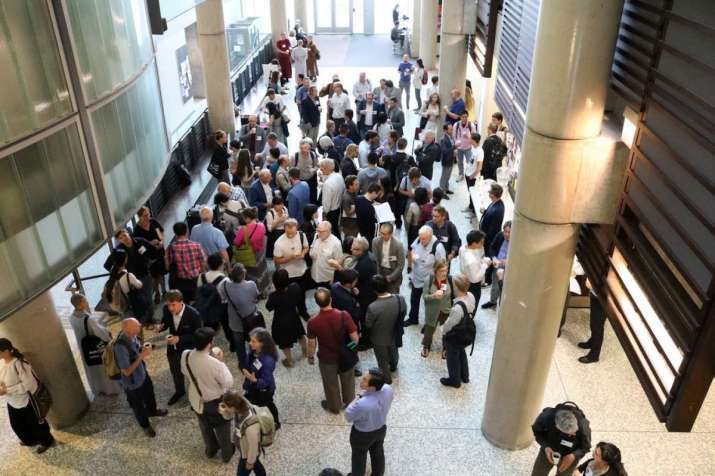 Represented were 251 institutions, with 447 delegates from no less than 26 countries gathered to listen to a magnanimous 416 papers, with 44 panels and 18 sections. On top of all this, there were nine project presentations and workshops, as well as 12 exhibitions/sponsors. Distinct among these was the “Buddhist Art and Architecture” section chaired by Dr. Deepali Dewan, Dan Mishra Curator of South Asian Art and Culture at the Royal Ontario Museum. Dr. Carolyn Schmidt of Ohio State University offered an astute explanation for the longevity of ancient gold Indian jewelry, with its repeated exposure to a heating process that included sophisticated diffusion and bonding techniques, enabling these remarkable artifacts to survive intact for more than 2,000 years. 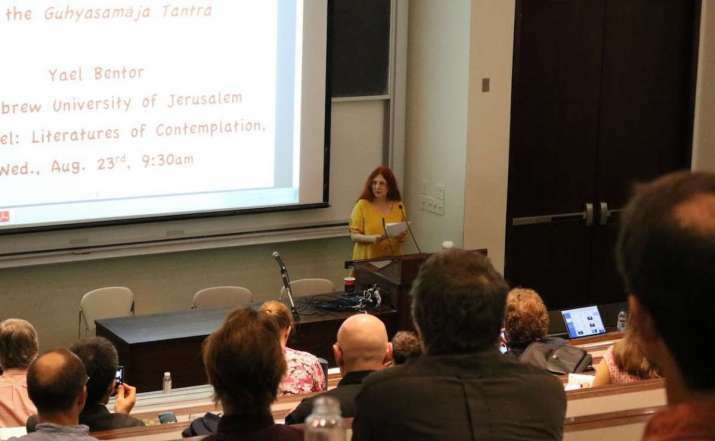 Charles Li, a PhD student in South Asian studies from the University of Cambridge, offered a thoughtful paper on the role of architecture in a scene from the Mahaparinibbana Sutta, when Venerable Ananda cries in grief after being forewarned of the Buddha’s impending death. Li encouraged the audience to employ visual imagination to infer the meaning of this text, emphasizing that, “using intuition as strategy is very important.” Li offered an insightful reading by walking through disparate translations of the same verse from different languages, thereby compelling the audience to employ other means to interpret and explicate. He also showed a slide of what the architecture of the scene may have resembled, a result of careful historical art research. Another extraordinary panel was titled “Travel, Transmission, and Affiliation: Lineage in the Buddhist Crossroads of Inner Asia,” convened by Dr. Matthew King of the University of California, Riverside. 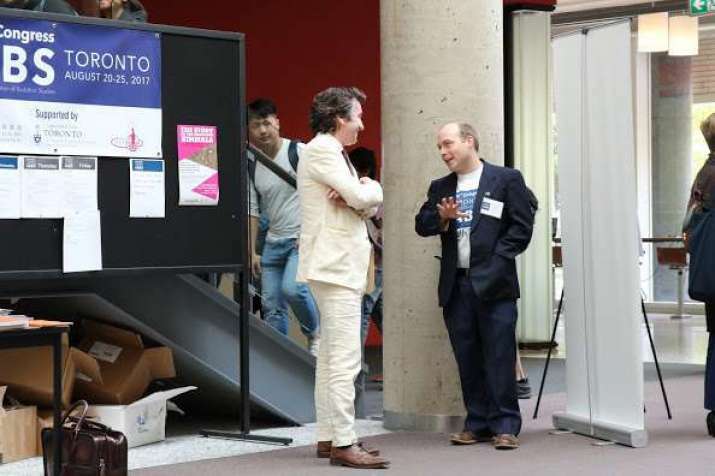 Many distinguished papers were presented by international scholars on subjects such as cartography, medical technologies, and material culture. Bhikkhu Analayo, a Theravada monk, scholar, and professor at the Numata Center for Buddhist Studies, University of Hamburg, offered a glimpse of his upcoming book, Buddhapada and the Bodhisattva Path. He explained: “With the whole book I am making a statement that the early discourses are genuine products of oral transmission, with resultant problems and all the potential advantages.” His methodology was to “understand how the text operates; what are its promises?” and “to understand how textual memory works.” Bhikkhu Analayo’s process is too long to describe here, suffice it to say what an innovation and revelation this scholarship is to the field of early Buddhism. Notably, the congress also possessed moments of bitter-sweetness and nostalgia, most evident in a remembrance for Professor A. K. Narain, a formidable Indian scholar of many fields and an IABS founding member, who passed away on 10 July 2013 in the Indian city of Varanasi. This was marked by the release of the A. K. Narain Commemoration Volume: From Local to Global – Papers in Asian History and Culture issued by the Indian International Journal of Buddhist Studies. Prof. Narain is a legendary figure in the field of Buddhist studies, known for his work between Indic and central Asian cultures. A graduate of Benares Hindu University (BHU) and with a PhD from the School of Oriental and African Studies** in London, Narain went on to teach at BHU and at the University of Wisconsin-Madison, where he stayed almost 20 years. Afterwards, he returned to Varanasi to found the Bhikkhu J. Kashyap Institute of Buddhist and Asian Studies. A central figure in establishment of the IABS, Prof. Narain also founded the Indian International Journal of Buddhist Studies. Yet despite this note of melancholy, this year’s congress was permeated by an embracing collegial atmosphere, palpable in the twice-daily tea and coffee breaks, the communal meals, and even the optional field trips to offsite locations such as Niagara Falls, a boat cruise on Lake Ontario, and a visit to the Fo Guang Shan Temple in Toronto. Also present were representatives of respected publishers in the field of Buddhist studies, including Biblia Impex, Bukkyō Dendō Kyōkai America, Buddha’s Light Publications, Motilal Banarsidass Publishers, Shambhala Publications, the State University of New York Press, and Wisdom Publications, to name a few. The American Council of Learned Societies was also represented. Perhaps it was the conscious effort of the many volunteers and hosts, mixed with the Canadian geniality that afforded an atmosphere of inclusion and warmth, despite the enormous scale of the event. Adding to the ambience was the welcome presence of male and female monastics from across the globe. At the closing session, IABS board president Richard Salomon from the University of Washington shared that he was “very confident of the state of Buddhist studies” and that we are currently experiencing a “golden era in the field.” Congress members expressed great excitement at hearing Dr. Eun-su Cho, a professor of Buddhist philosophy at Seoul National University, announce that the next congress would be held at her institution in 2020.